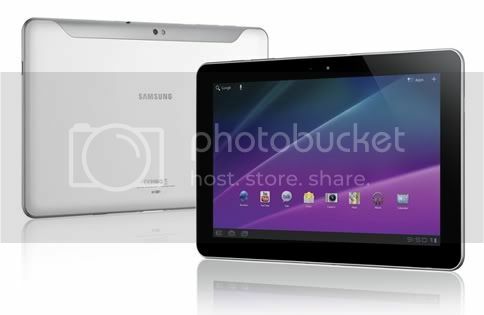 Anyone else excited about the Galaxy Tab 10.1? This thing is beautiful. Pretty much what I've been looking for in a tablet. I don't need a keyboard dock or a ludicrous amount of ports, I just need a thin and light device that is adequate for media consumption, and not limited to a closed environment. I think I'll be pre ordering next pay. IF it ever gets released the Android market will have competition between this and the transformer. Already up for pre order at BestBuy, FutureShop, The Source, and Staples. Estimated shipping date on all four is July 22nd. The Source is actually listing the HSPA/3G version, however, not sure how factually accurate that is. If it is accurate, that's probably where I'll be grabbing mine. Hmmm. Looks like FutureShop and BestBuy are now estimating an August 19th shipping date. Staples has removed it from their site. The Source however, is still listing July 22nd. Sure its impressively thin and light but its still a wide screen device thats useless in portrait and is running a buggy OS thats only good for movies and for web browsing. I just dont understand people's lust for this tablet. $500... no ******* way, 350? yes. Why do you feel that portrait orientation is "useless" on the 10.1 screens? Is there something on this particular model / OS that makes it unsuitable for use? Personally, I find it's perfect for reading e-books, and while that might seem a relatively limited application, I suspect it's how we'll be getting almost all of our print media in the years to come. Personally, I would but it but only if the back was a rubberized black finish.